Today I’d like to introduce you another resource pack. 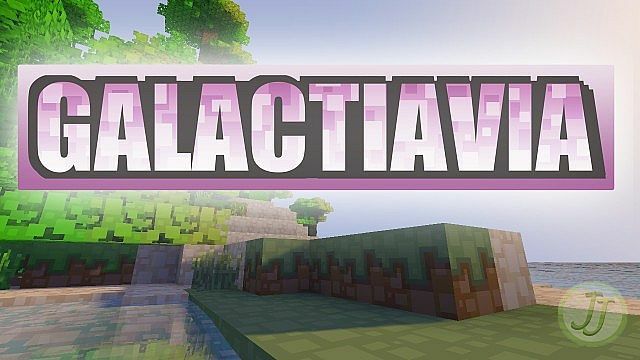 It is called Galactavia Resource Pack. I would start describing it by saying that it looks pretty cartoonish and soft. Author made ​​them as if in the form of squares of different colors and sizes, giving the resource pack some beauty and originality. 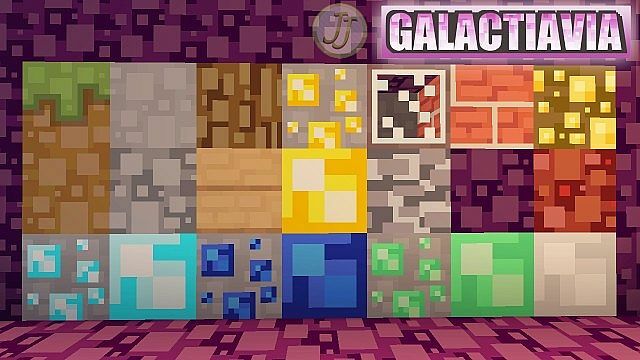 All this was done really qualitivelly and it was done on a default minecraft resolution of 16×16 which makes this pack even better because everyone will be able to try it and enjoy. *Credit for creating and developing Galactavia goes to Jnaejnae. It is designed and compatible with the following minecraft versions: 1.7, 1.6. Right now Galactavia has 76840 views.